Sometimes there’s an inverse relationship between how well you remember facts from school and how helpful they will be in your adult life. 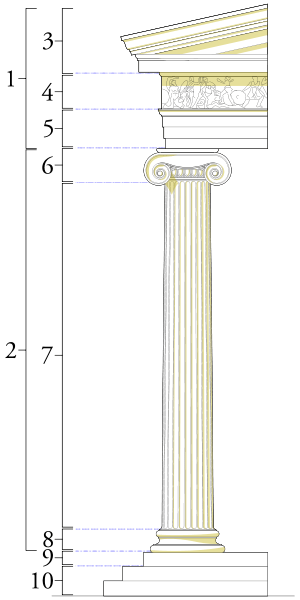 I have yet to find a use for my unerring ability to differentiate between Doric, Ionic and Corinthian columns. My skill in drawing the cross-section of an oil derrick has sadly never helped me earn my keep. Even in my geography class that particular talent was not appreciated once I’d added boys’ names to each of the structures on the page. (Well, I didn’t want Derrick to get lonely.) I can vividly picture those diagrams, and so can Elizabeth, the girl who became my best friend the day we started secondary school, sharing the bond of equally awful short haircuts and new school shoes, disdainfully referred to as our “Noddy boots”. “Why are you and Eliz. being so slow?” wrote the geography teacher underneath Derrick and his chums, as if she didn’t know. Another diagram lodged in my mind with photographic clarity is that of a mediaeval farmer’s field. We had to illustrate the principle of crop rotation. The concept of lying fallow made a big impression on my early teenage brain: at that age I’d have embraced anything that transformed sloth into a virtue. As I’ve got older, I’ve often thought back to this picture, not because I’ve taken up farming – though my back garden is unusually lying fallow this year. (I cheered when I heard a radio report that “the natural look” was in fashion for gardens this year: gardens don’t get much more natural than mine.) I’m comforting myself that I should get a much better harvest next year as a result. When I most appreciate the concept of lying fallow is when I’m recovering from an illness. It’s extraordinary how a few days of sloth recharges the brain. It’s a given in any period of convalesence. The first stage of my recovery is always when, in a lightbulb moment, I realise that the daytime television I’ve been watching is utter trash. Then something deep within my subconscious starts to stir – and I leap out of bed, grab a notebook and pen, and start to scribble. Before I know it, there’s a surge of creativity and insight, and my brain feels positively reborn. It’s not just illness that yields this regeneration: equally powerful is a trip away from home. I’m rather hoping that the summer holidays, due to start any day now, will have a similar effect. Watch this space to find out….